Do you need a home security camera? 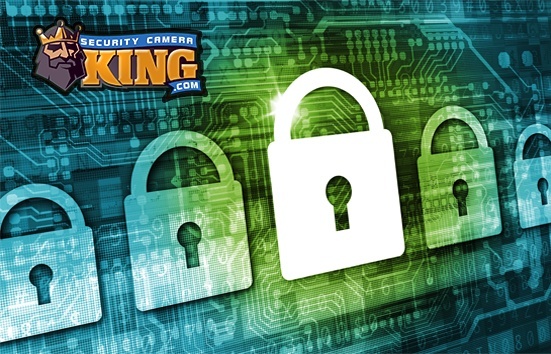 Security Camera King stocks a vast selection of home security cameras and home security camera systems at discount prices. If you’re unfamiliar with today’s digital video home security camera, read on for some information about the way they work, the different types, and some of their features. The type of home security camera marketed today is the digital video camera. These cameras are light-weight, powerful electronic cameras that deliver the video image in a digital form. Older models of home security camera were heavy, bulky analog cameras that had less features than today’s camera. A digital video home security camera works by transferring light energy into electrical energy. The electrical energy can be quantified or measured and used to construct a digital video image. Digital video is actually several digital photographs taken very rapidly (on average around 30 photographs per second) in succession. The rate at which the camera operates is often referred to as “fames per second” or fps. A digital video home security camera captures a video image and sends it to a processor/DVR or Digital Video Recorder. This unit creates a digital video file that can be viewed instantly on a monitor or saved on the DVR for later use. Depending on the camera type and your use, you may also need to purchase lenses for your camera. Lenses are sold based on focal length which is normally stated in millimeters. A long focal length is needed for a greater distance to the target. Check out our CCTV Lens Calculator in the CCTV Learning Center for more information. There are three main types of home security camera based on shape. Box cameras are normally used indoors unless they are placed in a protective cover for outdoor use. Box cameras are fairly obvious so that may or may not be a benefit. Bullet cameras are normally weatherproofed for outdoor use, but they are also indoor/outdoor models. Bullet cameras can also be somewhat obtrusive. Dome cameras are one of the more popular home security camera types. They can be flush mounted with only the dome protruding from the wall or ceiling. These are probably the less conspicuous style of camera and one of the most popular. Digital video home security cameras are connected to the DVR by an RG-59 coaxial cable or similar cable. Each camera must have this cable run from the camera location to the location of the DVR. In addition, a power supply wire must be run from a wall transformer or power distribution box to each camera. If you need to mount your cameras where running these wires could be a problem, you may want to consider a wireless camera that can utilize rechargeable batteries. Wireless cameras with motion detectors can enhance your system even more by conserving on battery power. Another type of home security camera that is very popular is the baby monitor camera. This camera is usually a night vision infrared camera and a monitor. The systems may or may not be wireless. Infrared cameras use infrared Light Emitting Diodes or LEDs to illuminate their target area. This light can be seen by the camera sensor but is invisible to the human eye so you can monitor your baby all night long without disturbing him or her. Now that you have an idea of how a home security camera works, the different types that are available, and some of their versatile features, check out our stock of home security cameras and home security camera systems.